Life was tough in the 19th century and vandals were treated harshly. 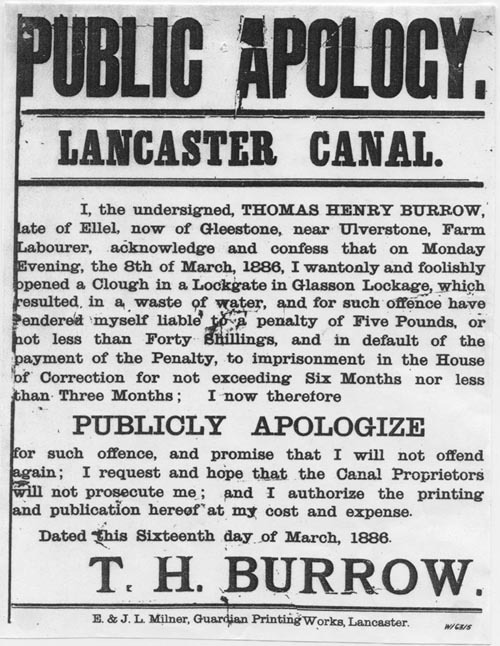 When Thomas Henry Burrow decided to mess around with the local canal he found himself in more trouble than today’s young thugs would do. Not only was he fined for wasting water but he was expected to publish this public apology in his local newspaper. Wastage is still a problem on today’s canal system and many lock pounds are drained overnight during the long hot evenings of summer because local roughs enjoy watching the water run. Today it is expensive to put right and takes a lot of time and effort by canal bank staff but there is little disturbance other than preventing a few holidaymakers from passing a flight when they want. 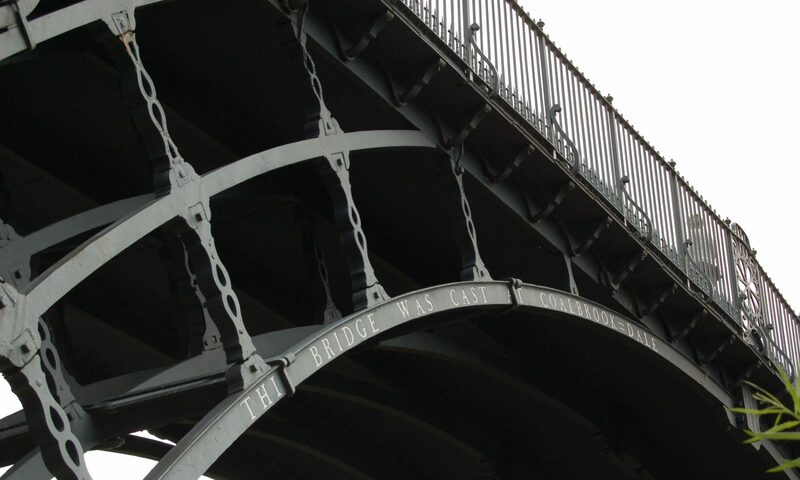 In the 19th century, however, it meant that traders could not ply their boats along the canal until the pounds were refilled and time was money. Many boatmen were not paid for their trip if they were late to deliver.